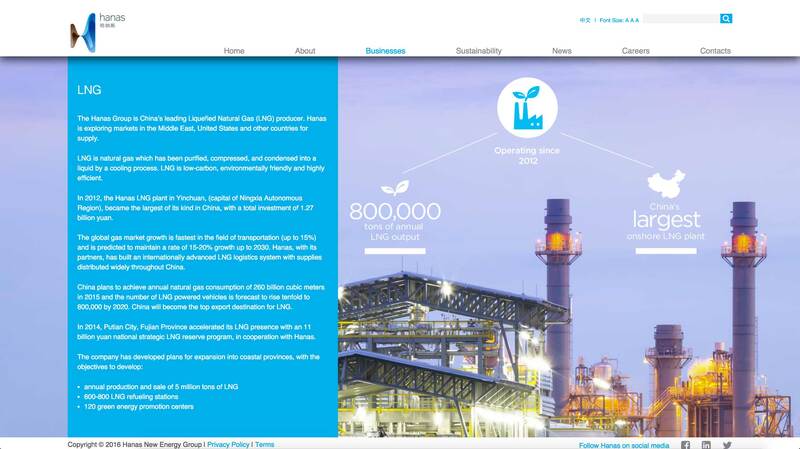 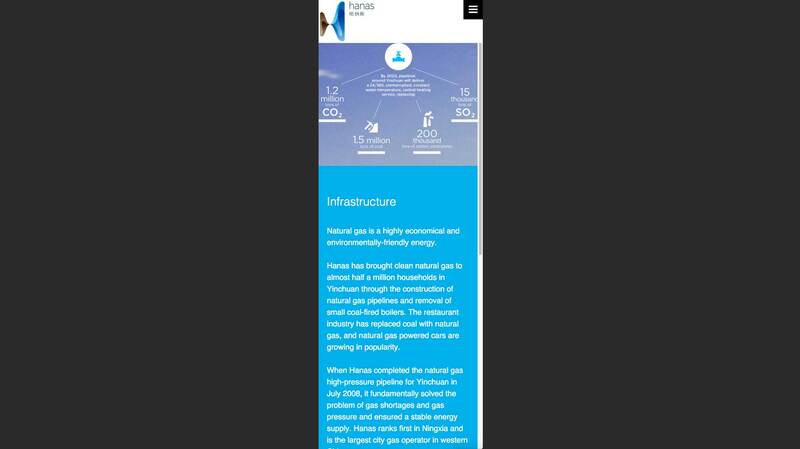 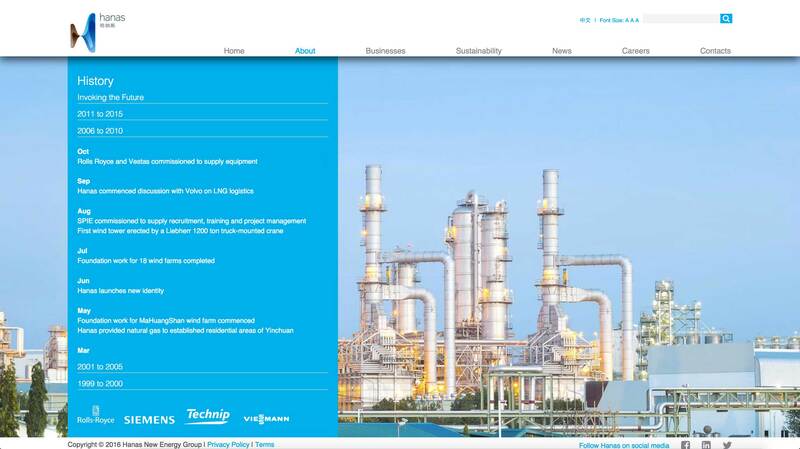 Hanas New Energy is a natural gas and renewable energy producer in China’s far northern Ningxia Hui Autonomous Region (adjacent to Inner Mongolia). 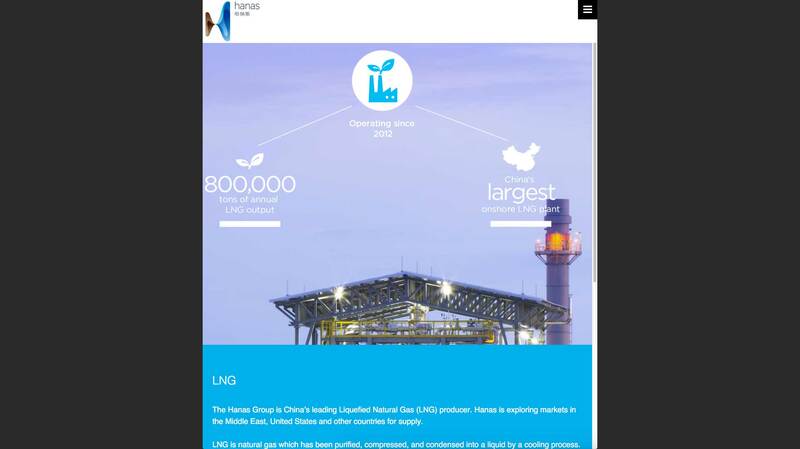 Hanas operates the most efficient LNG liquification plant in northern China, produces heating and cooling for 2 million residents of Yinchuan, has installed 200 Vestas wind turbines generating 500 MW of power, and is planning multiple large-scale solar power sites and LNG port terminals. 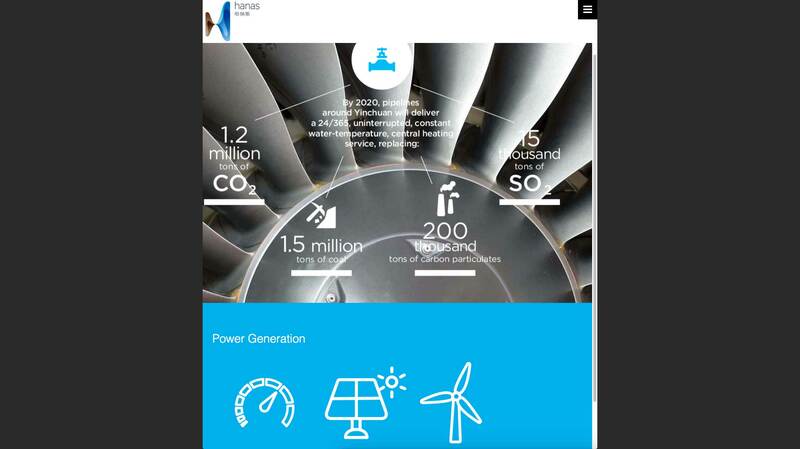 As part of the transformation of the power generation sector in China, Hanas is increasing efficient and renewable energy sources, compared with less efficient and polluting carbon-based fuels, responsible for damaging CO2 and SO2 emissions and airborne particulates. 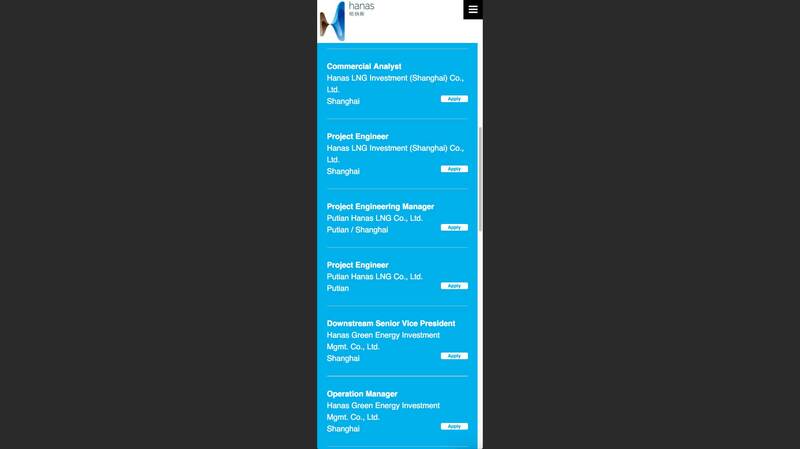 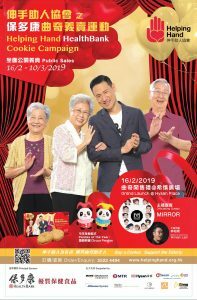 Digital Tsunami developed a strategy encompassing the responsive web presence concept, prepared web infrastructure documentation and wireframes, photography and video production, and a presence in the professional network LinkedIn and social media in China and internationally. 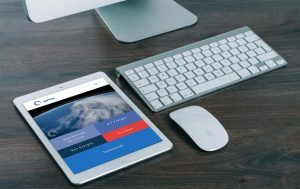 In collaboration with Sydney design house Design Davey, business unit icons, infographics, stationery, electronic and print documents were designed and implemented. 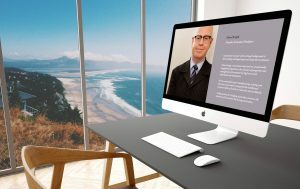 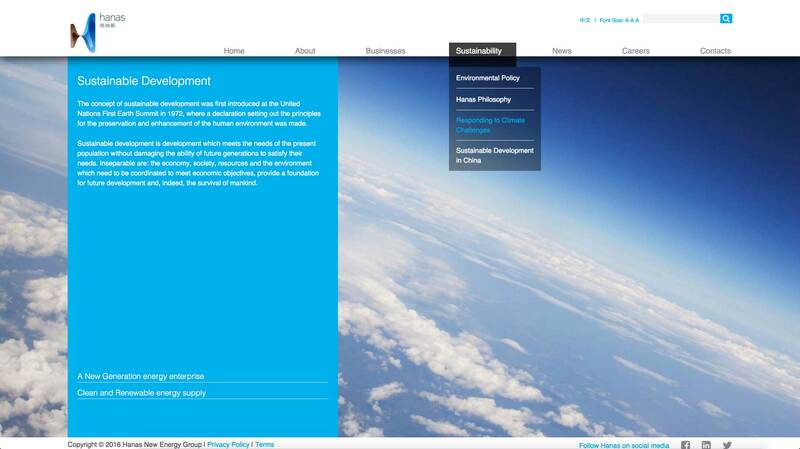 The web concept was implemented by a design and development team led by Digital Tsunami Senior Developer, Paul Sharratt. 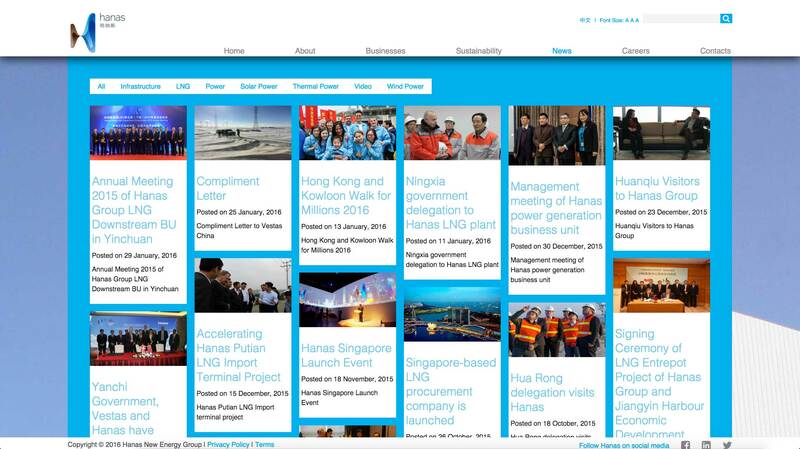 The new Hanas web presence was developed using responsive design, enabling it to appear appropriately on any fixed or mobile device: desktop, laptop, tablet, phablet or smartphone. 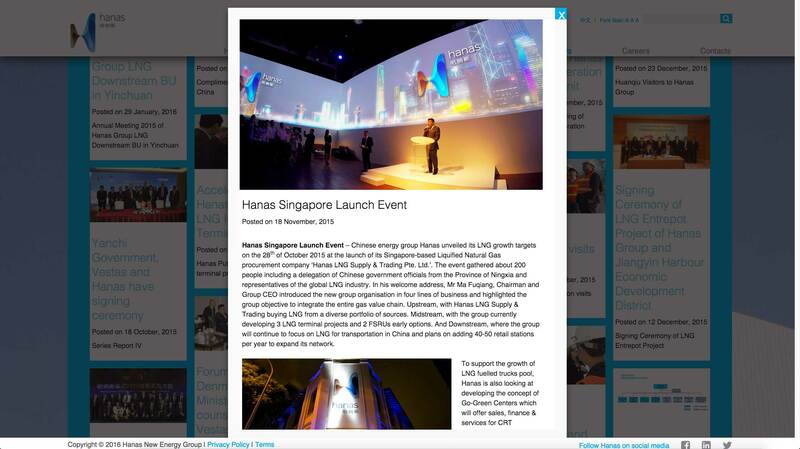 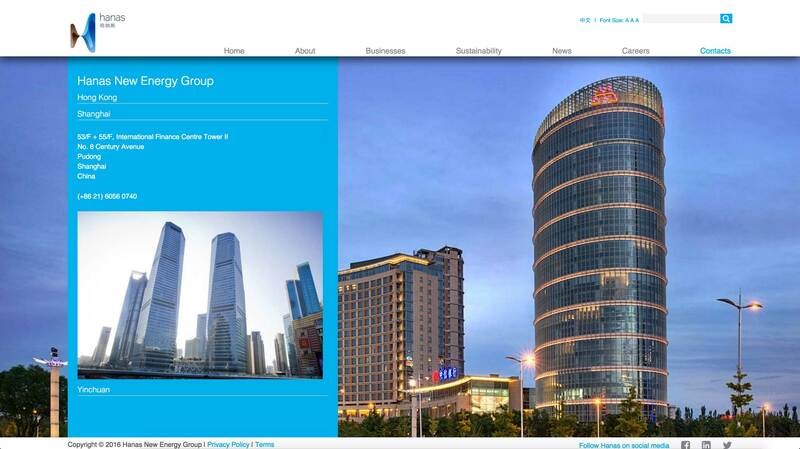 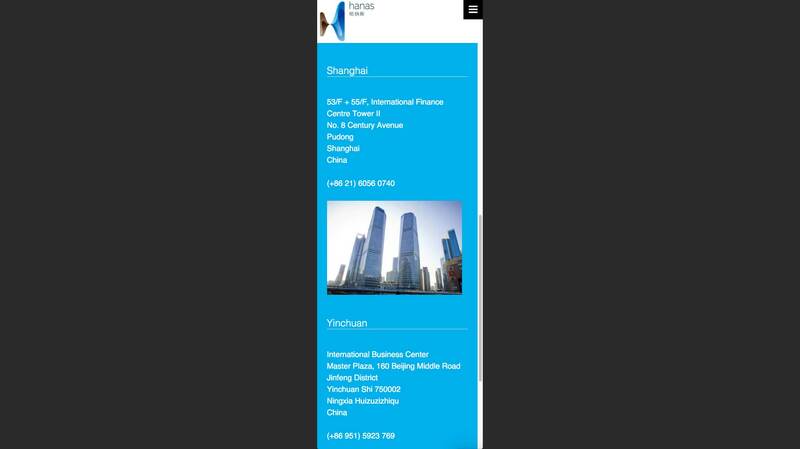 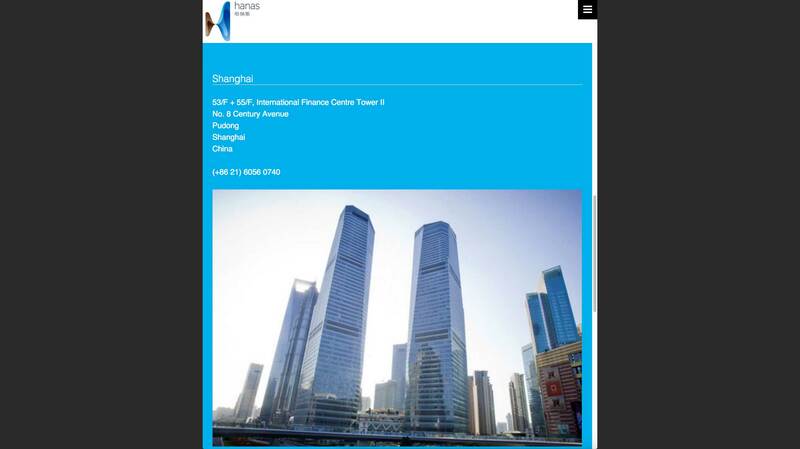 Two language versions (simplified Chinese characters and English) of the responsive site were developed. 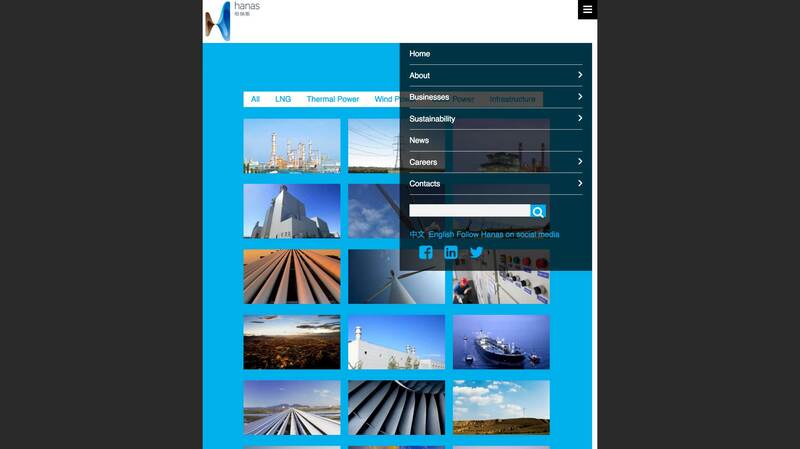 Features included: bilingual videos; image galleries and timeline histories; ensuring an interactive presence with comprehensive content. 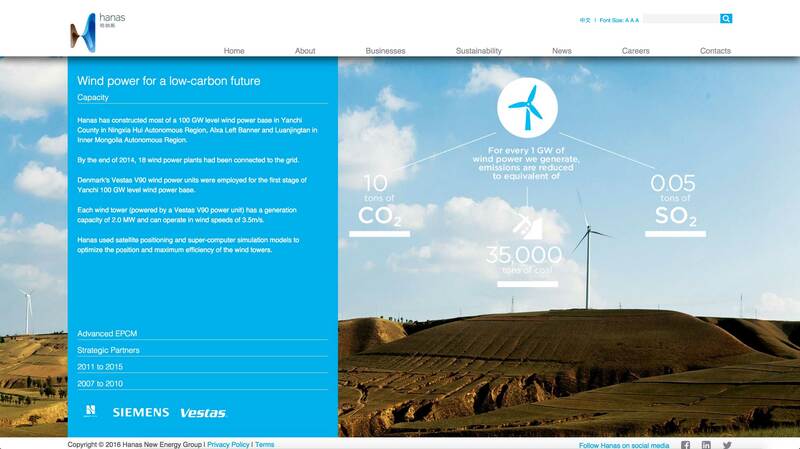 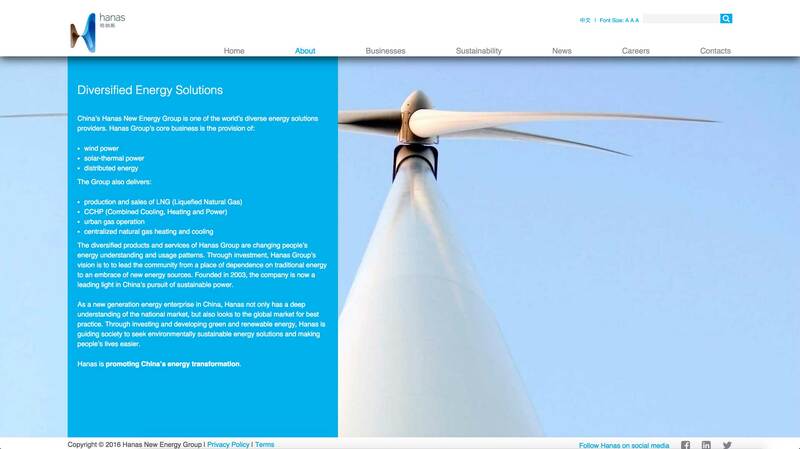 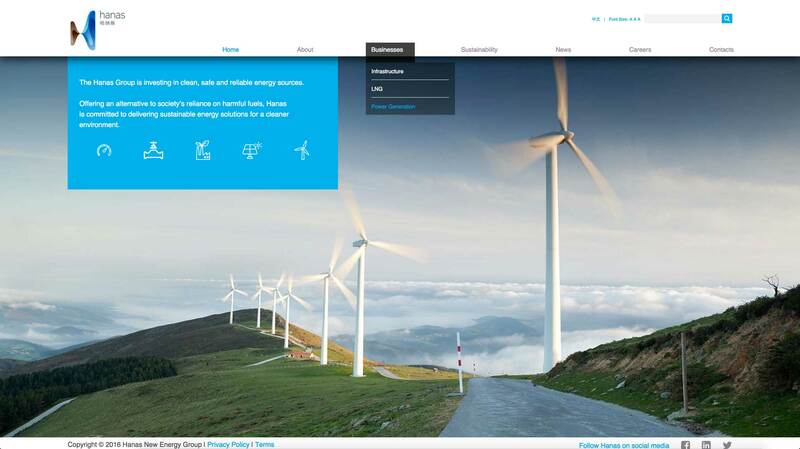 The site has a dramatically bold appearance, based on a single background image on every page, a text panel with content tabs and accordion navigation, and infographics concisely presenting the benefits of clean and renewable energy sources. 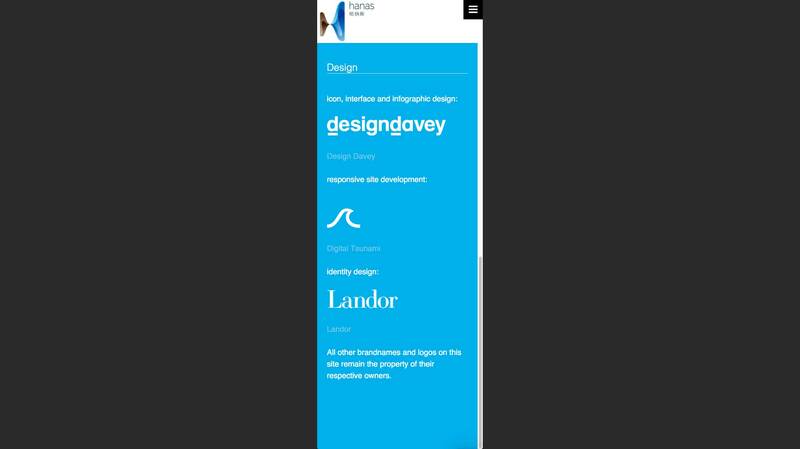 The site reflects the Landor designed identity and colour palette; is built with responsive design, which accommodates all computer operating systems, browsers, desktop and handheld devices and screen resolutions; and for accessibility, enables variation of font size.